This section will keep you updated on educational events that Dr. Schlesinger will be teaching in 2019. Are You Placing dental Implants? 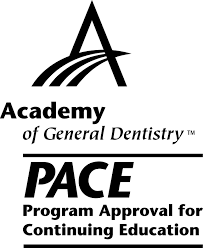 The CD SChlesinger Group LLC is designated as an Approved PACE Program Provider by the Academy of General Dentistry. The formal continuing education programs of this program provider are accepted by AGD for Fellowship, Mastership and membership maintenance credit. Approval does not implay acceptance by a state or provincial board of dentistry or AGD endorsement. The current term of approval extends from 3/1/2017 to 2/28/2018. Provider ID #374023.